The Good News Today – What Do Crowd Control, Burning Skin, Your Street Corner, and Superbugs Have in Common? The short answer: 5G networks, which are coming to your town soon. Recently we told you how telecom companies are working with the federal government to eliminate local control over the deployment of 5G networks, which are billed as the next best thing in wireless technology. Recent research pointing to the health implications of 5G technology reinforces the need to have local control over how it’s used, but more importantly asks the question of whether we should hit the pause button altogether. 5G technology will make wireless networks capable of more data streaming at faster speeds because it uses a broader frequency spectrum. 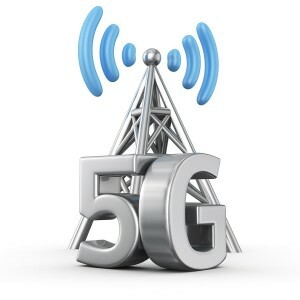 Whereas current 4G networks use up to 6 GHz, 5G will use frequencies between 24 GHz and 100 GHz, known as millimeter-wave frequencies. This means that the dozens of small cell towers that will be installed in your neighborhood will be emanating millimeter waves. If that doesn’t sound scary, consider this. The Department of Defense has developed a non-lethal crowd control device called the Active Denial System (ADS). The ADS works by firing a high-powered beam of 95 GHz waves at a target—that is, millimeter wavelengths. Anyone caught in the beam will feel like their skin is burning. The burning sensation stops once the target leaves the beam. So, what we’re talking about with 5G technology is being exposed to the same kind of waves day in and day out, only at a lower power than the ADS. Have safety studies confirmed that such exposure is safe? No. As we saw in our previous article on this topic, the government seems more interested in helping the telecom industry railroad local communities who want to have a say over how or whether this tech gets installed. Research from a team of Israeli physicists has found that there are new problems to consider with exposure to millimeter waves. When the wavelength of the energy approaches the dimensions of our biological structures, i.e. our skin and sweat ducts, previous assumptions about the safety of energy radiation are no longer valid. The research shows that, with millimeter waves, our sweat ducts actually act like little antennas, which means we would absorb more of this energy into our bodies. Other research has demonstrated that short-term exposure to low-intensity millimeter waves affects human cell membranes and could even result in the proliferation of multi-drug resistant bacteria. Seeing as there has been virtually no research on long-term exposure to millimeter waves, the large-scale deployment of 5G technology is a massive experiment, and we’re the guinea pigs. There’s no opting out of 5G—in fact it will become more ubiquitous than wireless technology is right now. As Verizon boasts on its website, the “Internet of Things” will thrive on 5G technology. The Internet of Things refers to the expanding number of devices, appliances, utilities, and other technologies that collect, transmit, and share data through the internet. Essentially, many processes that have not previously relied on the internet will start to once 5G roles out: switching lightbulbs on or off with a smartphone app, driverless cars—even “smart cities” that will use wireless networks to collect and analyze data about the environment, traffic, water, transit, lighting, waste management, security, and parking. The government should stop being the industry’s henchman and stand up for ordinary citizens by demanding that research be conducted evaluating the long-term effect of exposure to millimeter waves before 5G technology is unleashed on the public.